Reference - Reference Sub Pages contain information about our program. 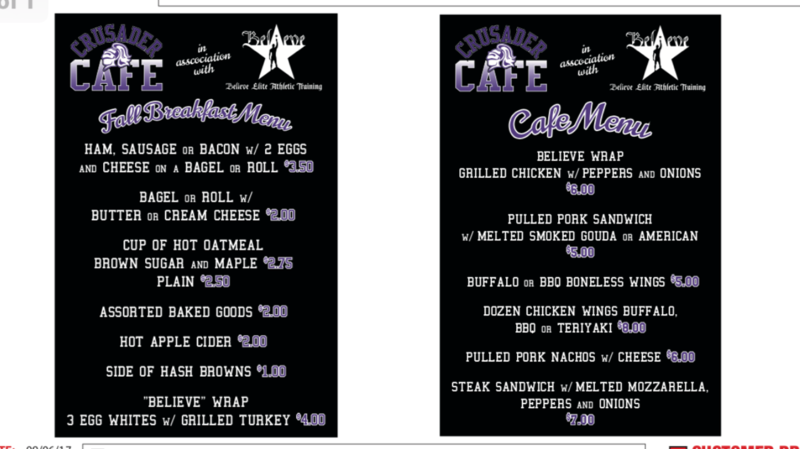 The Crusader Cafe - click here for their Menu! We are inviting all players, old and new, to sign up for the Spring season now. WE try to be very flexible for the kids that play other sports, if we can not work out the schedule we promise we will issue a refund accordingly. We will keep registration open thru 4/22 if necessary, please encourage friends tossing up sooner rather than later so we can form teams soon! Minors are birth years thru 2007 - Ages 7-11, and Majors are birth years 2004 thru 2007 - Ages 11-14. 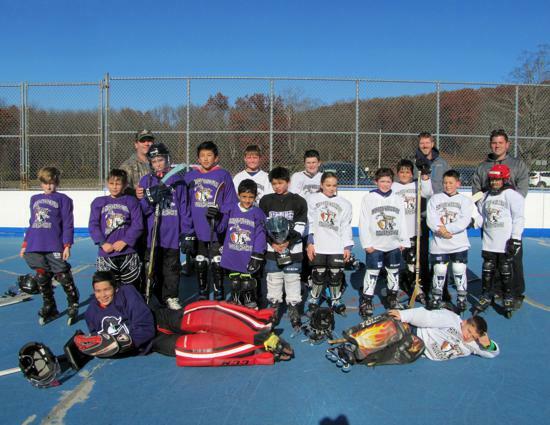 The Learn to Skate and Intro to roller Hockey available for any age. Schedule for LTS thru Majors: we look to start practices on the 22nd. Check back here for more info & updates, it is possible the Majors only will start practice THIS week. Stay tuned. 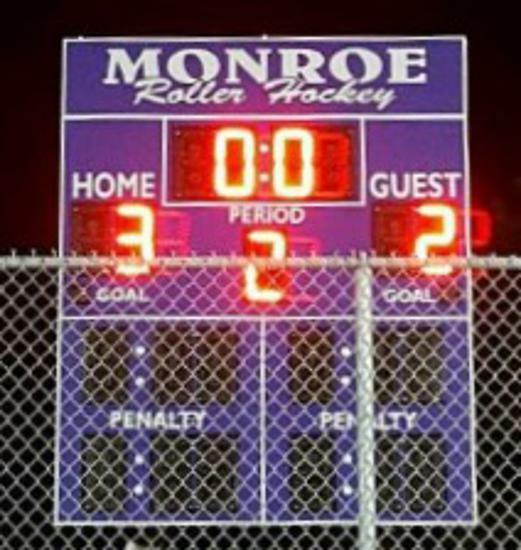 GOOD NEWS High Schoolers - we have found a High School division coordinator, effective immediately, the HS division will be run by Ryan Marrone, he can be reached at Ryan.Marrone@yahoo.com or you can email to MonroeRollerHockeyLeague@gmail.com & I will forward. The High School division registration is officially open, and will be for 2 weeks. GOOD NEWS High Schoolers - we have found a High School division coordinator, effective immediately, I would like to announce that the HS division will be run by Ryan Marrone, former youth player and current player in our Adult League. Ryan has been playing hockey his whole life and hopes that he can return the High School Division to it's former heights! Ryan needs help though, so please welcome him & give him your support. 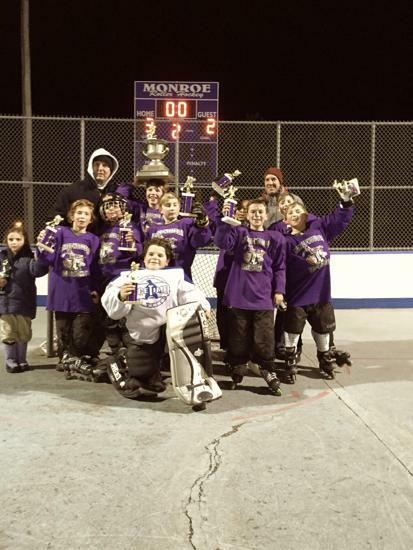 He can be reached at Ryan.Marrone@yahoo.com or you can email to MonroeRollerHockeyLeague@gmail.com & I will forward. The High School division registration is now open & will be open for 2 weeks! As I have said for years, the league, and in this case the division, is only as good as the volunteers who run it. We still need at least 3 head coaches. The players in this division must be in high school currently, and generally are 18, 17, 16 or 15 years old. 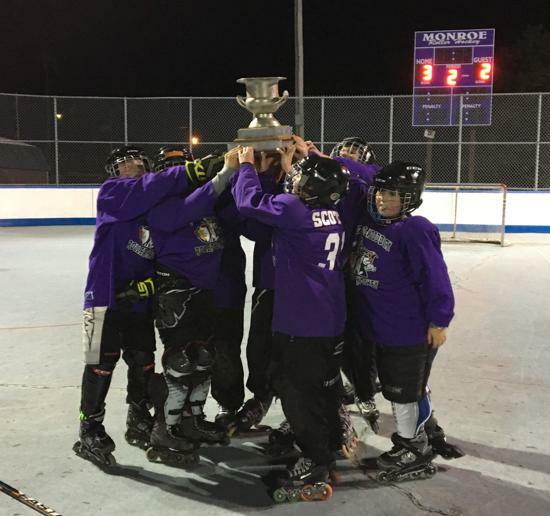 If you have an interest in coaching please reach out to me ASAP or email me @ either JPAlcide@optimum.net or MonroeRollerHockeyLeague@gmail.com. 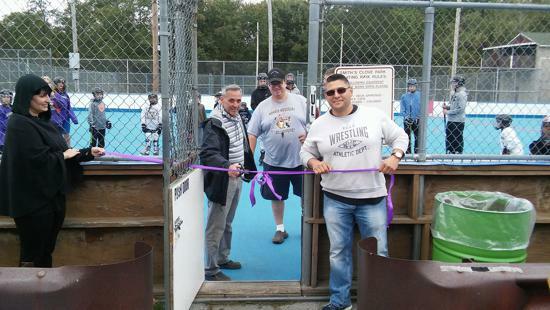 Thank you all for participating in the Monroe Roller Hockey League games and activities this year! We wish you and your families all the best this holiday season and may we see each other healthy and happy in 2019! This week, the Thursday division-wide practice moved to Wednesday. Today you can join coached Todd and Ryan for practice at 6 pm. Games on Sunday at regular times: 2 pm and 3 pm. We have division-wide practice on Tuesdays and Thursdays at 6:15 pm. Today's practice is being cancelled due to weather. See you all on Sunday - 1 pm LTS/Mini Crusaders, followed by 2 pm game for Minors and 3 pm game for Majors. Due to weather conditions, hockey is cancelled for today. The LTS and Mini mites are invited to Minors practice tomorrow at 6:15 pm. Assuming the weather gets better, we will have games next Sunday. Monday Columbus Day - We play hockey! LTS/Mini Crusaders at 4 pm. No games Saturday and Sunday, waiting for parents and coaches to let me know if they can play Monday late afternoon. Saturday morning may be an option for additional games, afternoon not. Game cancellations due to weather will be announced here. Position still open: Social Media Coordinator - let me know if anyone is interested to post announcements, pictures and stories. Please join me in congratulating all of them and thanking them for all their hard work and dedication to this league! Looking forward to seeing you all at the rink every weekend! Please get your equipment ready! We are inviting Learn to Skate & Mini Crusaders at 2 pm this Sunday, followed by Minors and Majors divisions at 3 pm for scrimmage. All coaches, please take notes on all players (use # on their jersey to identify the players later) - we will be asking you to rate the players during/right after the scrimmage. Well balanced teams is extremely important! Youth Registration is Now Open for the Fall Season! 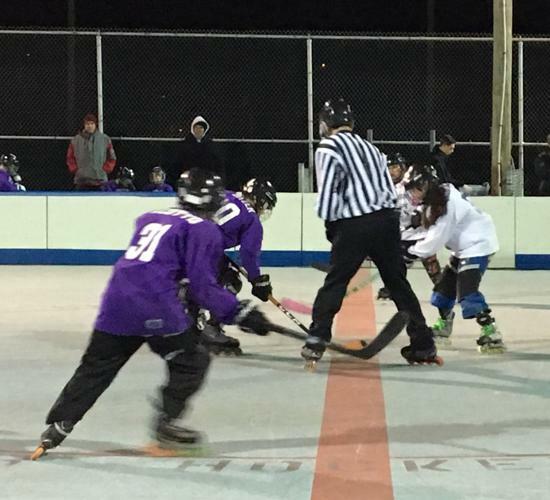 Learn to Skate/LTS ($35) - The registration price includes: a jersey, a minimum of eight (8) half hour sessions and gift/trophy of accomplishment upon completion. There is no minimum or maximum age for this program. Mini Crusaders/8u ($70) - The registration price includes: a jersey, a minimum of four (4) half-hour developmental sessions focusing on skating, puck handling and shooting drills with scrimmage games at the end of each session, followed by a minimum of six (6) advanced sessions including real games with young referees and coaches on the rink explaining and imposing the rules of hockey under the guidance of league president, James Alcide. Please Note: For LTS and MC it is NOT necessary to order an additional jersey, the kids do not need two. It will be automatically ordered upon registering and is included in the registration fee. Additional jerseys can be ordered for $30 each. Please note that player size & ability supersedes their age so in some cases players will be asked to play in older division and in some cases will be allowed to play in lower division. The ages shown are based on the players age @ 12/31/2018. It has been my pleasure to help, coach and watch your children grow up and become young men and women, some going on to become quite successful hockey players, many varsity ice hockey players and I am so proud of them all. As with life, all good things must come to an end eventually and I am sad to announce that I am retiring from Roller Hockey, effective immediately. I will still be around to help the new President and new Board of Governors with any guidance they ask for, if they ask, but it is time for the next generation of parents to step up and do their part to ensure the successful continuity of the program. Not all of the existing board is leaving, I am only speaking for myself, and I feel that I leave the league in very good hands with the remaining board members. We will be announcing a date soon for the next organizational meeting where we will invite anyone interested to come and be part of the new board, including if interested, running for 1 of the 4 officers on the board: President, VP, Secretary & Treasurer. We also will need to fill very important positions, which don’t need to be filled by board members, including a new Learn to Skate instructor and director of youth hockey operations, a web master, social media coordinator and a P.R. coordinator. Unfortunately, NONE of these are paid positions, as we all volunteer for the love of our kids, the community and of course hockey. If you or someone you know would like to be considered for a position, please email to MonroeRollerHockeyLeague@gmail.com. Our tradition every year is to host a picnic for our players and their extended families. We would like to warmly invite you all to come and enjoy the day with us on Saturday, June 2nd. The entertainment for the children and the burgers and hot dogs are provided by the League. We ask for donations by league division - below are the donations requested. In addition, any other food or drink donations, as well as your favorite dish, are welcomed and appreciated. The donations should be brought the day of the picnic to the Smith’s Clove Park Lower Pavilion. The picnic is Saturday, June 2nd, beginning at 12 noon and ending at 5:00 PM. Come early, come late or stay all day! We will again have the wet slide for the kids, so have them bring or wear those bathing suits! Late Youth Program Registrations are now being taken!!! See link right below this, or go to the Registration tab! 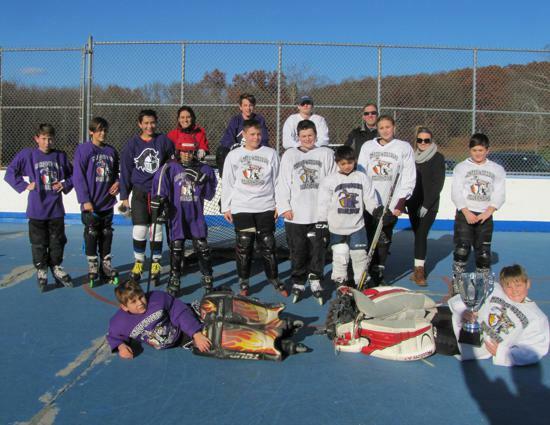 The White Devils edged the Purple Ghouls 4-3 in a fantastic finish to the Mini Crusaders instructional division! 12-4 Dominant performance by the # 1 seed Leafs over the Goon Squad. Visit us on our Facebook page & follow us there! 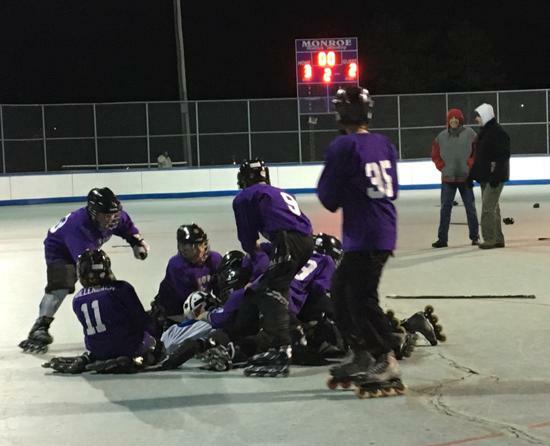 ©2019 Monroe Woodbury Roller Hockey League / SportsEngine. All Rights Reserved.